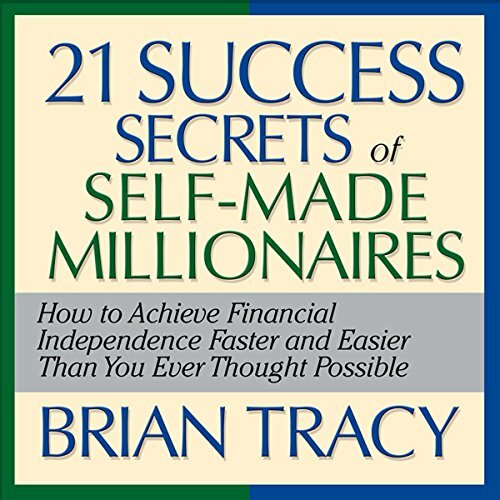 The 21 Success Secrets of Self-Made Millionaires Summary provides a free book summary, key takeaways, review, quotes and author biography of Brian Tracy’s book. In his book The 21 Success Secrets of Self-Made Millionaires, Brian Tracy writes his recent list of success precepts. He presents these principles in brief, clear sections. He also adds some action steps to every principle. Though Tracy does oversimplify and overstate, we recommend this book heartily. Any professional who believes his/her career can use some energy and focus, this’s a great read. The typical qualities in people who became millionaires from humble starts. How to achieve, develop and maintain such qualities in professional life. If you follow in the footsteps of successful people, you’ll attain similar outcomes. Follow the strategies of self-made millionaires, if you want to become one. See big dreams. This way you have a long-term idea of what you desire. Always think about your goals. Think of yourself as self-employed. Do the things you love. Commit to excellence. Be ready to work harder and longer. Commit to lifelong learning. Try becoming an expert in what you do. Serve others because all self-made millionaires dedicate themselves to excellent customer service. Create a reputation for complete honesty. Focus on your top priorities and work on them quickly. Practice continuous improvement and self-discipline. 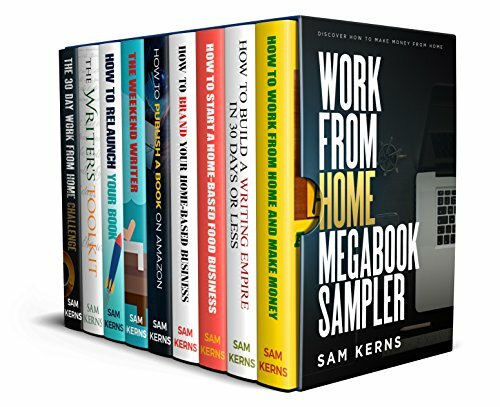 This book The 21 Success Secrets of Self-Made Millionaires covers 15 years of teachings and research on the practices of self-made millionaires. It shows that most self-made millionaires were successful because of their perseverance. But, the most crucial element in their accomplishment of success wasn’t money. Instead, it was their traits which allowed them to make money and maintain it. This book studied over 9 million millionaires in the US. Their percentage is increasing yearly by 15-20%. Most of these people earned their money on their own. Most millionaires were broke when they started. These people faced complete or near bankruptcy again and again. An average of almost 3.2 times for everyone. They failed before they could find the right chance and then succeeded. As per the Law of Cause and Effect, one can be successful by following the lines of successful people. And what do these successful people do? Allow yourself to dream and imagine the type of life you want to live. How much you need to earn to live your dream lifestyle. Envision yourself five years from now and think that you’re living your ideal life. Observe what it feels like. Building such a long-range vision will keep you motivated, positive and determined. Note down all that you’d do if success were sure. Pick one action and do that now. Two elements are essential in determining what happens to you. These include what you think of the most and how you feel about it. Always remember your goals. This way you’ll move toward them. Decide what you desire in every aspect of your life. This mainly concerns your financial life. List down the specific objectives. Create a deadline for every goal. Note down the things you need to do to attain them. Then, organize this list into an action plan. And, act on it. Now! Do a little bit each day. This way, you’ll start moving closer to your primary goal. What happens to you is your responsibility. Hence, if you’re unhappy with something, you should change it. It’s you who’s in charge of your life. Don’t think that you’re working for someone else, even if you have an employer. You’re in charge of your service company, regardless of where you work. Think that you’re self-employed. This way you’ll cultivate the mindset of a responsible and independent entrepreneur. Find out your calling. Determine what it is that you love doing and have the inherent talent for. Then, immerse yourself completely into that thing. When you love what you do, then you’ll not see it as work. Anything you decide to do, try to be the best at it. Strive to be among the top 10% in your domain. You ought to be very talented. Because every successful person is exceptionally competent. Find out the one skill, if you nurture it, will make the most significant impact. Plan to become better in that. As every self-made millionaire works hard, you must too. This means you should start early, stay later and work with more intensity. The key is to be productive and not wasting time. Don’t run personal errands in between your work. Also avoid calling friends, reading magazines or socializing when working. Be focused while working. This way you’ll build a reputation as a hard-working individual. You’ll come in people’s notice. Keep on learning and improving in the field you choose. See your brain as a muscle, which builds more and more with use. Like when you use your body muscles, you need to stretch your mental muscles too to grow them. Devote at least an hour every day reading about things in your field. Listen to podcasts while driving or commuting. Be part of as many workshops and courses in your area as possible. Plan saving and investing a minimum of 10% of your income. Keep aside 10% from every month’s salary and deposit in a particular account. Be very careful and wise with your funds. Question every expenditure. Defer delaying each buying decision for a month or a week. The more you delay, the better you can decide. Also, it’s likely you’ll get a better price when you wait. Impulse buying is the primary cause of why people don’t have enough money after they retire. Resolve to save the maximum possible amount from your income. If you’re unable to save 10%, then begin by saving just 1%. Learn how to become better at what you do. Try becoming a specialist in your area. By doing this, you’re likely to reach the top. Keep yourself updated with the latest books and resources in your field. The law of Integrative Complexity claims that people who can absorb vast amounts of knowledge will lead. The more you help others, the more will you get back. Customer service holds high importance. Most self-made millionaires serve their customers correctly. They continuously think and seek a better way of serving them. Each day thinks of ways in which you can enhance your service value. Reaching the top demands a reputation of complete honesty. This is because every successful business is created by trust. To gain such honesty, be true to your own-self. Then, be true to others. Try doing the correct thing always, even though it may have a high cost. Learn to set priorities regularly. And then, focus on attaining them. Such single-minded devotion could be hard to develop. But you’ll need willpower, character, and discipline to focus on your main priority until you achieve it. The key to prioritizing is to enlist things you’ve to do to attain your goal. From this list outline the highest value activities. What actions do you need to take to bring about some difference? Use time wisely and do one thing at a time. Today people don’t have the patience. They want everything fast. Hence, you must build a reputation for speed with a focus on action. Move fast when you think something ought to be done. Do things so quickly that you surprise everyone with your pace. To get better opportunities, create a reputation for moving fast. Try being like a mountain climber. A climber rallies up the peak and goes down before going up the next one. You’ll face both ups and downs in your career and life. This is because everything is cyclical. Build a long-range vision. Plan for the future. Two years or more. This way you’ll feel more confident when you face problems along the way. Discipline yourself to do what you must when you must. Even though you don’t feel like doing it, practice discipline. This will guarantee your success. You ought to use self-control, self-mastery, and self-direction. Avoid instant gratification to gain long-run success. Focus on getting good outcomes, instead of using good approaches. There are three elements which drive creativity. These include focused on questioning, pressing issues, and highly desired goals. Focus more on attaining goals, resolving issues and answering difficult questions. This will make you smarter. You’ll become more creative, and your brain will become stronger. The core of creativity is continuous improvement. By improving yourself continuously, your creativity will also increase. If you know many people, and many people know you – your chances of success are more. Having a good reputation among the people around you will help you snowball. Your reference circle is very crucial. This is because you’re likely to absorb the behaviors, attitudes, and beliefs of people who surround you. Try being around positive people. Avoid negative and complaining about people. You may want to live to be 80 or more. Take good care of your health. This is very important for you to do good professionally as well. Follow a balanced diet, keep a proper weight and workout consistently. Self-made millionaires are careful thinkers. They take quick decisions. You should also do the same. Obtain feedback and make the needed corrections fast. You can do more work daily by taking quick decisions and being action-oriented. Failure is not the most significant barrier to success. But fear of failure is. You’ll only get stronger and resolute when you fail. But fearing failure will paralyze you. Hence, face your fears. When you’re bold, you’ll see that hidden powers will come to your rescue. Don’t give up. Never, ever. Regardless of what happens, continue to persist. Setbacks, hardships, and disappointments are natural. They are only temporary, yet inevitable. But when you react positively, your coping mechanism becomes stronger and better. If you adopt the 21 principles mentioned above of success continually and persistently, no one can stop you from succeeding. 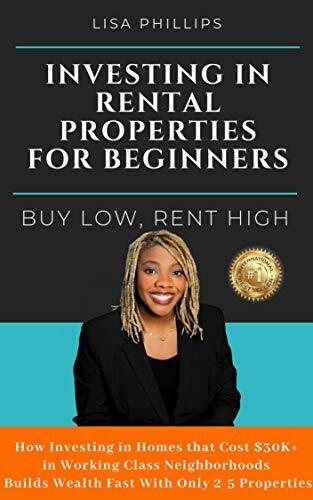 On the practices of self-made millionaires, this book covers fifteen years of teaching as well as research there are the twenty-one success secrets of self-made millionaires. It shows that due to their perseverance mostly self-made millionaires were successful.in their accomplishment of success money is not the primary element. Because of their qualities which help them to make money as well as sustain it. In the US, over 9 million millionaires studied that book. Through 15-20 percent this % is yearly increased. On their own most of these people make money. The secret of success number one is to see big dreams. To live your dream lifestyle estimate how much money is needed. Think you are living your ideal life from now imagine your five years. The second secret of success is that a clear sense of direction is developed. This means that we always have to think about the goal. Set the deadline for all the goals or objectives of your life. The things you want to achieve note down them, as well as use this list as an action plan. The third is to see yourself as a self-employed. It’s mean that if you are not happy with the work, then you have to change it. This is your life if you want any change then you should work on it. Secret four is that the thing you like the most do that. You do that thing more passionately which you like the most, so it becomes the reason for your success. The fifth reason is to commit to excellence. It means if you have any ability, but it’s not as good as it has to be then you have to work on it and make it perfect. The next one is you have to work hard for a long time. Self-made millionaire work very hard for achieving their goal, so we also have to do the same. There are many more secrets, but we discuss here only six secrets. “Your goal should be to become an expert in your chosen field by learning every single detail about how to do your work better and better. Brian Tracy speaks with over 250,000 people every year. He addresses a clientele including Arthur Andersen, IBM, Million Dollar Round Table, and McDonnell Douglas. Before founding the Brian Tracy International, he was working in real estate development, investments and management consulting. Tracy wrote many classics, and The Absolutely Unbreakable Laws of Business Success and Maximum Achievement is one of his bestsellers. 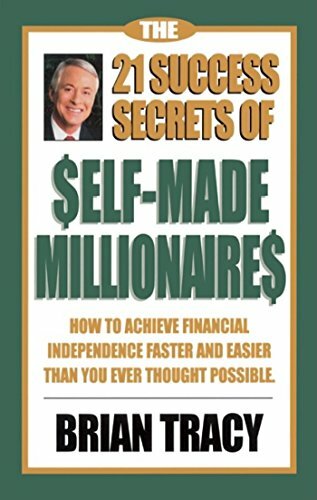 How is your thought on The 21 Success Secrets of Self-Made Millionaires Summary? We are happy to receive your comment on it! I’m also looking for the ways on how to promote my website. I have tried AdSense and Facebook Ads, however, it is getting very expensive. I also want to improve SEO of my website. Would appreciate, if you can have a quick look at my website and give me an advice what I should improve. Maybe I will add a link to your website on my website and you will add a link to my website on your website? It will improve SEO of our websites, right? What do you think? The quick understanding of all the providing data presents principle and qualities of people. I am consistently thinking about to find the ways that expertise used I found that I need to develop a clear sense of direction and constantly think about my goals to complete them before the deadline. As mentioned in your post, I found that I need to invest my time in productive ways. That’s good. Reading can help. If you want to get rich, please refer to Think and Grow Rich Summary. This classic book can help you understand how to gather assets with 13 principles. I like the way you demonstrated the learning and improving methodology, I consider myself as a hardworking student but I have never used podcasts. It must be an efficient way to learn the courses and workshops. I really appreciate the use of new technology in daily life particularly while learning new thing. Yes, you are right. 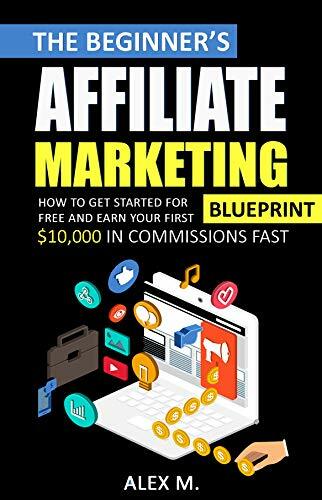 If you want to become a self-made millionaire, this books is helpful at all. Would you like to learn more about negotiation skills which could help you in your career? Please refer to Getting To Yes Summary. I am in fact glad to glance at this webpage posts which consists of tons of useful data, thanks for providing this information.